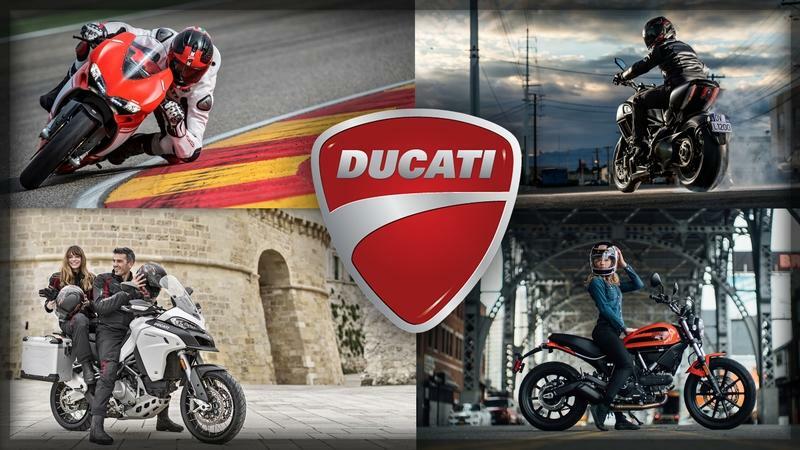 Graced with an assortment of electronic wizardry, the bike can link to your Smartphone via the Ducati Link app. 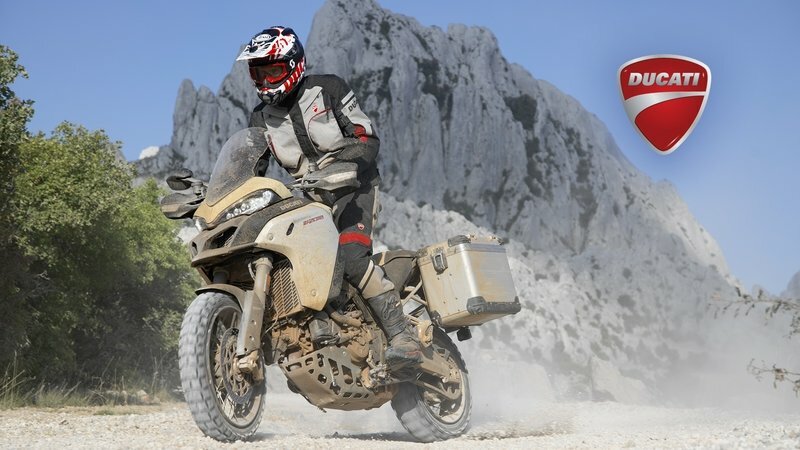 The Enduro leads the way as it always has with an angry-bird’s-beak fairing with a pair of upswept LED headlight projectors featuring a cornering-light capability that lights up the road where you’re going instead of just where you’re pointing; in other words, where you need it most. Since the front turn signals are integrated with the handguards, they do nothing to clutter up the fairing or detract from the cleanliness of the overall visage. It starts out with a point, but the front fairing quickly flares outboard with cheek fairings the form a partial engine cowl and radiator shroud and vents that allow the waste heat-laden air to escape and smoothly reintegrate with the slipstream. If you think that sounds an awful lot like the kind of language you’d find associated with a supersport/MotoGP bike, you’d be correct, but Duc was serious when it designated this enduro machine, which is, of course, a style of racing with both an on-road and an off-road component. Does that make this a racebike? Potentially, but for the kind of race that is measured in days, countries or continents. A narrow, rally-style screen tops the fairing and punches a minimal hole in the air to break the pressure headed for your chest and plow a hole in the weather for the five-inch color TFT screen that handles all of the instrumentation. The handlebar switches are backlit making it easy to access the “Human Machine Interface” control block on the left switch housing. This lets you navigate the menus that manage the various electronic engine-control features. On top of that, the Ducati Link app lets you tweak said features via smartphone. The fandanglery continues into the ignition security system that electronically unlocks your bike and makes it ready to activate when the key is within six feet of it. A tall, camel-hump fuel tank dominates the flyline with a camel-like capacity of 7.9-gallons. That alone should demonstrate how serious the factory is about off-road capabilities. The flyline drops off precipitously to a deep-scoop seat that pulls the rider down into the swale between the tank and the upswept subframe/pillion area. At the tip of the tail, the stylized taillight comes tucked up out of harm’s way with the winkers mounted on the rear mudguard above the tag, but just as the front wheel has a proper fender below the mudguard nose to handle the heavy work, so does the rear wheel with its hugger that keeps the shock from getting doused. The pillion pad provides a lofty perch for your passenger with a pair of subframe-mount, fold up footpegs and a set of J.C. handles for their other points of contact. Of course, you can also use that as a platform for non-human cargo for your far-flung adventures. It has an eager nature in the corners and more streetbike chops in spite of its tall nature. The Trellis frame is made up of tubular-steel members, but it has been updated to pull the stock seat down to 33.8-inches high. You’ve got a little wiggle room here as the factory offers an optional lower saddle that drops down to 33.1-inches off the ground. If you’re one of those long-legged types, there’s a 34.6-inch tall option for you, as well. The steering head is set at 25-degrees with 4.4 inches of trail for an eager nature in the corners and more streetbike chops in spite of its tall nature. 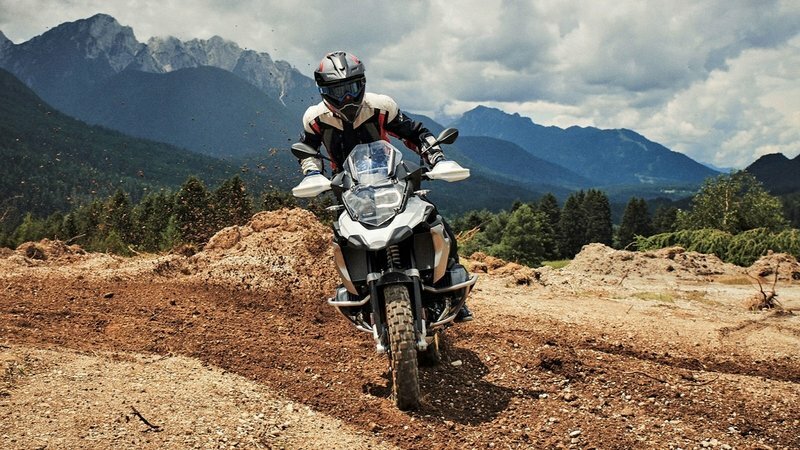 There’s room to throw a little body English around, but the biggest advantage of the rider’s triangle is the fact that you can comfortably stand on the pegs and still reach the hand controls from a full-upright position for technical off-road work. 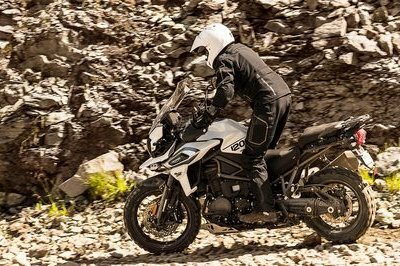 Cast-alloy wheels round out the rolling chassis with a 120/70-19 up front and a 170/60-17 out back, and they come lined with Pirelli’s Scorpion Trail II hoops. The stock wheels are designed for dual-surface use with a bi-compound composition meant to improve wet-road handling and overall traction. Dual-purpose they may be, but they have an obvious bias toward the pavement. If you actually plan on a serious off-road trek, you’ll find the rims ready to receive a set of Pirelli Scorpion Rally tires that are decidedly geared for light terrain and soft-surface performance. Suspension falls to a pair of 48 mm usd forks up front with a coil-over monoshock to tame the motion of the aluminum swingarm. The Ducati Skyhook Suspension comes standard, and it provides an electronically controlled dynamic adjuster that can vary compression- and rebound-damping values in the forks, with the same out back plus a preload adjustment. Dial in the suspension using the Human Interface and make adjustments for varying conditions and loads, all sans tools and dirty knees. Cool stuff folks, especially when you need to shift between brown and blacktop. A pair of four-pot Brembo Monobloc M4.32 calipers bite dual 320 mm discs to do the heavy work with the Bosch Cornering ABS on overwatch. It measures vehicle attitude and calculates the available traction, then adjusts the ABS intervention to match the calculated available traction. You can set it up to prevent rear-wheel lift-up from strong front brake operation, or allow it for off-road fun. The brakes can also be set to hold on a grade of up to 24.5-degrees via the Vehicle Hold Control so you can have both feet on the ground for stability and not have to worry about the rear brake. Front wheel : Tubeless spoked wheel in light alloy 3" x 19"
There are a lot of adjustable control systems, but you can mix and match with the preset setting-bundles for easy management. 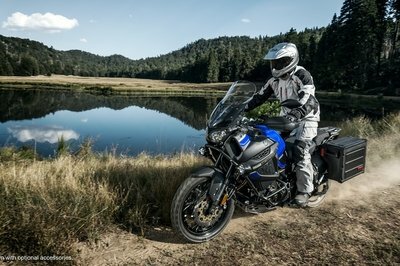 The factory punched the displacement up to 1,262 cc for the new plant with a massively oversquare 106 mm bore and 71.5 mm stroke and a sizzlin’-hot compression of 13-to-1. A pair of twin-spark, four-valve heads run the Desmodromic Variable Timing feature that changes the relationship between the drive gears and camshafts in order to deepen the power well. The result is an L-twin mill that churns out a whopping 158.3 horsepower at 9,500 rpm with 94.4 pound-feet of torque that tops out at 7,500 rpm. Now, if you know anything about the old Desmodromic engines, you’ll know that the valvetrains were considered high-maintenance items, but the factory has an 18,000-mile service interval on this newest version, and I can assure you that’s not bad for this kind of system. At all. RbW throttle control indirectly controls the 56 mm Bosch throttle-bodies; the signal washes through a number of systems before it gets there. First, there’s the Riding Mode and Power Mode to be considered. Then, the Traction Control makes its contribution to protect the integrity of the contact patches with an anti-wheelie feature to keep the front end down where it belongs. Sound like a lot to manage? It is, but the system lets you mix and match with the preset setting-bundles for easy management. Power flows through a slip-and-assist clutch to the six-speed transmission with a good, old-fashioned chain final drive. A final bit of delightfulness comes in the form of an electronic QuickShift system that lets you move up and down the range sans clutch action. MSRP starts at $22k, but comes loaded with a nice electronics suite. 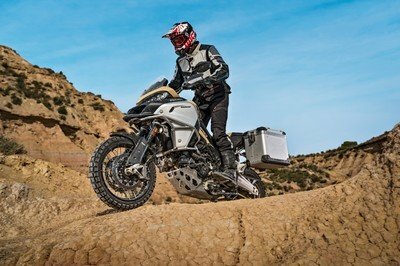 Looks like you can expect to shell out $21,995 for the base 1260 Enduro, if you could call such a loaded machine “base.” Score it in a Sand-over-black finish or in Ducati Red with black graphics. Both paint packages run generous blackout treatment in the non-body panel areas. The R 1250 GS scores a minor victory at the checkout with a sticker that's $4k less than Ducati, and that's enough to cut into the slight tech advantage the “Enduro” has. When I started, I thought I was going to find a competitor from the Japanese sector, but it turns out not so much. 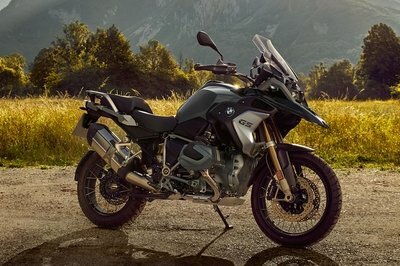 So, I headed to Germany to see what the Bayerische Motoren Werke had going on, and lo-and-behold, the brand-new R 1250 GS presented itself as a kindred machine. 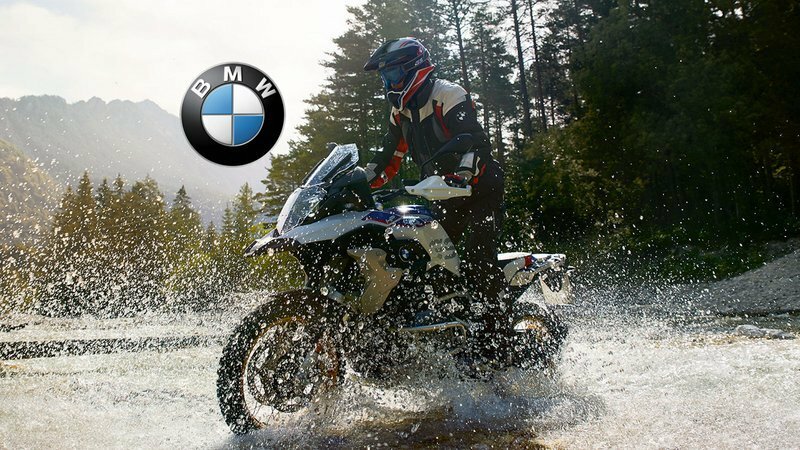 Beemer makes it easy to set up primarily for off-road work with its “Style HP” package that rocks a white base coat with “GS” tank graphics and red-and-blue trim. Wire wheels replace the cast rims that round out the other three packages that sees a Black Storm Metallic, Cosmic Blue Metallic and Night Black Matte with GS tank graphic. Yeah, if you’re interested in off-road work, you’re kind of pigeonholed into the rally-style color palette. Nothin’ for it short of the paint booth. The “GS” sports a bird’s-beak front end with a secondary fender to keep the spray under control. 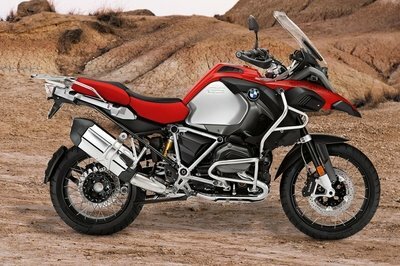 Asymmetrical headlights have a DRL feature and lend a rather Steampunk air to the visage, but for the most part, BMW sticks to the same standard design as Ducati. Instead of an L-twin, Beemer pushes the GS with a souped-up flat-twin “Boxer” engine with the bore punched out to 102.5 mm (from 101 mm) and the stroke increased to 76 mm (from 73 mm). This gives it a 1,254 cc displacement and contributes to the increased horsepower figures that still fall short of the Duc at 136-ponies. The 105 pounds o’ torque trumps the Beemer, so in the end, it’s a trade off. Amazingly, both mills run with variable valve timing even though BMW relies on spring-closure for its poppets, unlike the Desmodromic that uses a pull-closed cam instead. 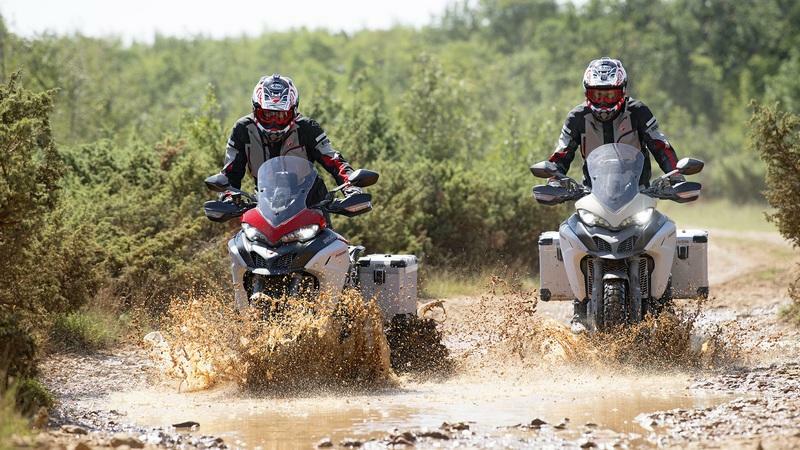 The GS features traction control, two Ride Modes and ABS that is switchable, but not of the lean-sensitive variety. 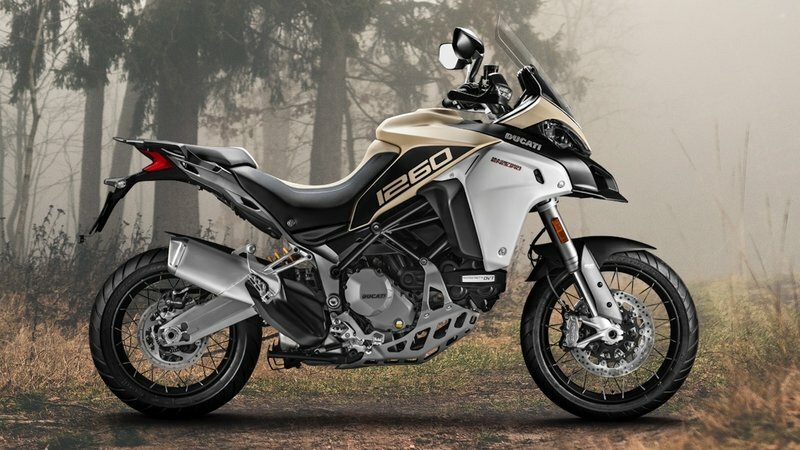 The R 1250 GS scores a minor victory at the checkout with a $17,695 sticker, and that’s enough to cut into the slight tech advantage that Ducati manages to hang on to, especially with that $21,995 sticker. 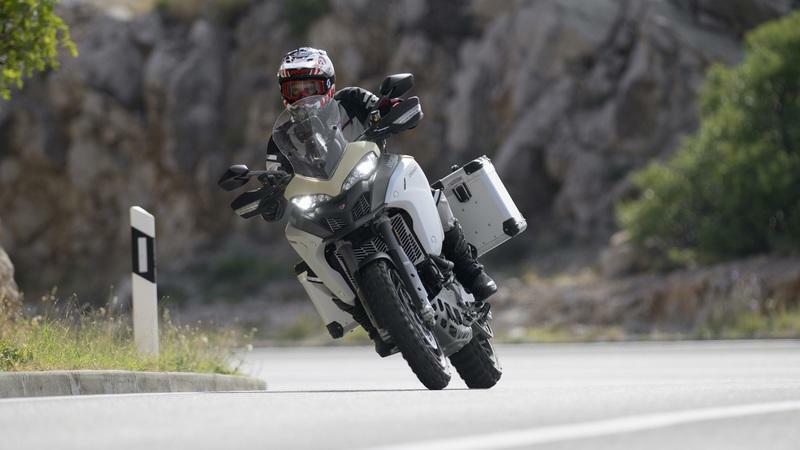 See our review of the BMW R 1250 GS. 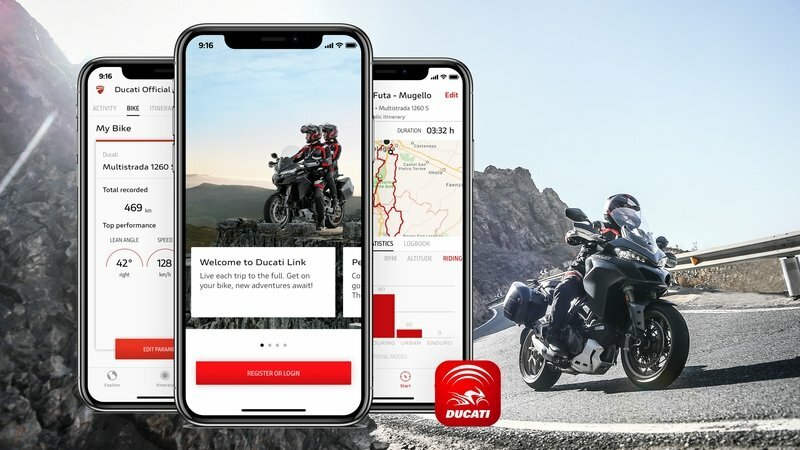 Read about the Ducati Link app. 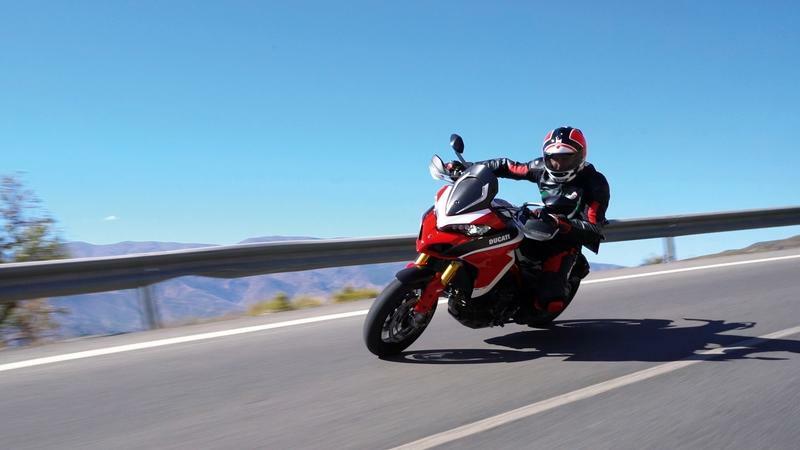 See our review of the Ducati Multistrada 1260.